Child Custody cases can often be very emotional and complex. Time sharing, visitation, child custody and child support are handled aggressively At Nilo Sanchez & Associates. Located in Tampa, Florida with over 19 years handling child custody cases in the Tampa bay area, you can be assured that you are hiring a Tampa family lawyer who is experienced in this particular area. We will do our very best to ensure that you are receiving the best assistance for your child custody case. If you need an experienced divorce or family lawyer in Tampa who will handle your child custody case, Nilo Sanchez & Associates has the extensive experience you need. We know that your family is important to you and you deserve to be represented by a child custody lawyer who can litigate matters such as timesharing and visitation, child support, modification of orders including the relocation of the children as well as paternity and other family law matters. 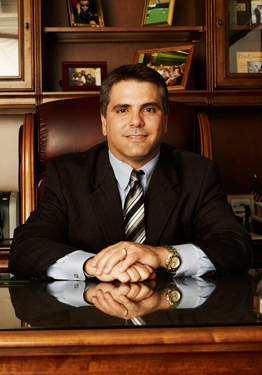 Tampa Divorce Attorney Nilo Sanchez, P.A. is committed to accomplishing your objectives during your divorce. There are many factors to consider during this difficult time in your life and your unique situation may require the assistance of an aggressive Tampa divorce attorney in Tampa bay. Depending upon your situation such as whether you have children, length of your marriage and other variables, your divorce will have it's unique set of circumstances and will require that an experienced Tampa family law lawyer has your best interest in mind. If you have children time sharing and child support will likely be the main focus of your divorce. In the best interest of your children and your family as a whole, I will work hard to ensure the best outcome for all parties. Assisting you with parenting plans, visitation, time sharing and other co-parenting matters will help you to reach solutions that will be in the best interest of your children. Additionally, if your divorce is final and you require assistance with modifications such as child support modifications, alimony modifications or other divorce modifications, I will work hard in an effort to obtain the results you desire. Child custody, divorce and modification needs. With over 19 years of knowledge and experience dealing with Tampa divorce and family law, Mr. Sanchez’s objective is justice for your individual family law matters. Our Family Law office is located in Tampa and we serve clients in the following surrounding areas: Pasco and Pinellas Counties, Lutz, Wesley Chapel, Brandon, Apollo Beach, Plant City and Carrollwood.